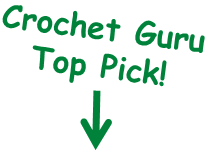 This crochet frog pattern/amigurumi pattern is made with a single crochet stitch, and because of this the frog is really easy to make and a great pattern for beginners. 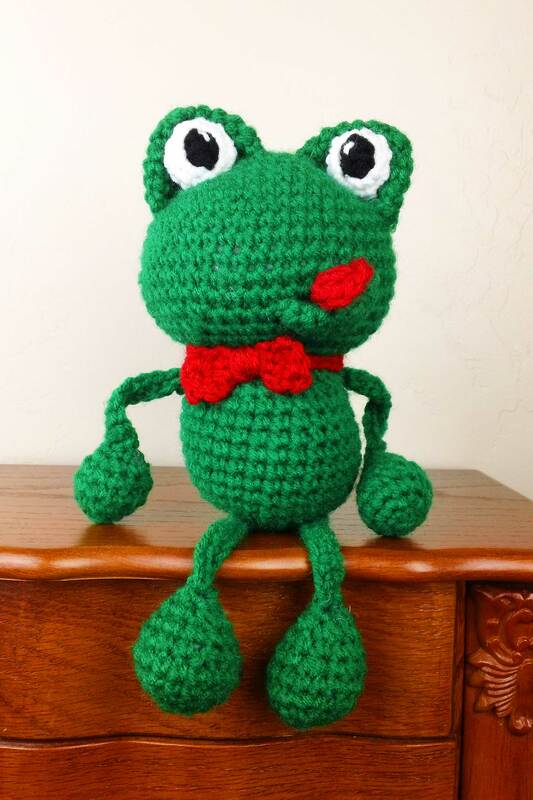 My goal was to make this crochet frog unique by giving him a personality all of his own, and because of this I decided to give him an extended lower lip with a little red tongue sticking out. I feel that this feature really adds to his charm and gives him a lot of character. I had so much fun creating this frog pattern, and I am really excited to share this little guy with you. 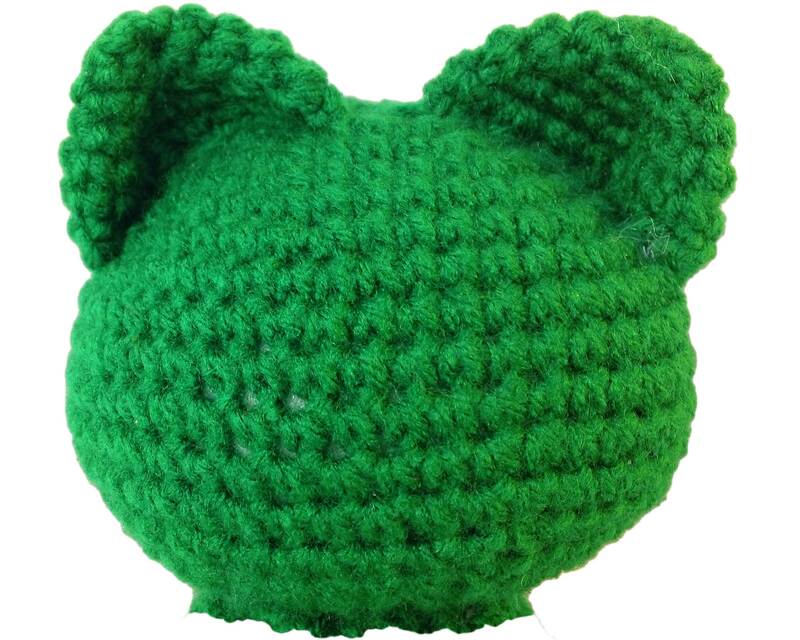 I call this amigurumi frog pattern "Frankie the Frog" and I hope you enjoy him as much as I do. 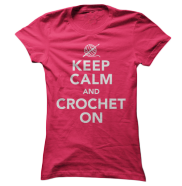 *I usually try to find the best deals when it comes to buying yarn, hooks, etc., and it looks like the best place to shop right now is amazon.com especially if you have a prime membership... free shipping is always a bonus. 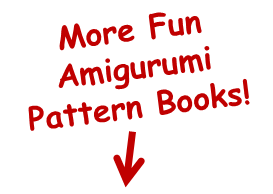 Some of the yarn listed below has prime shipping and some do not, but the ones I listed have the best prices. *P.S. 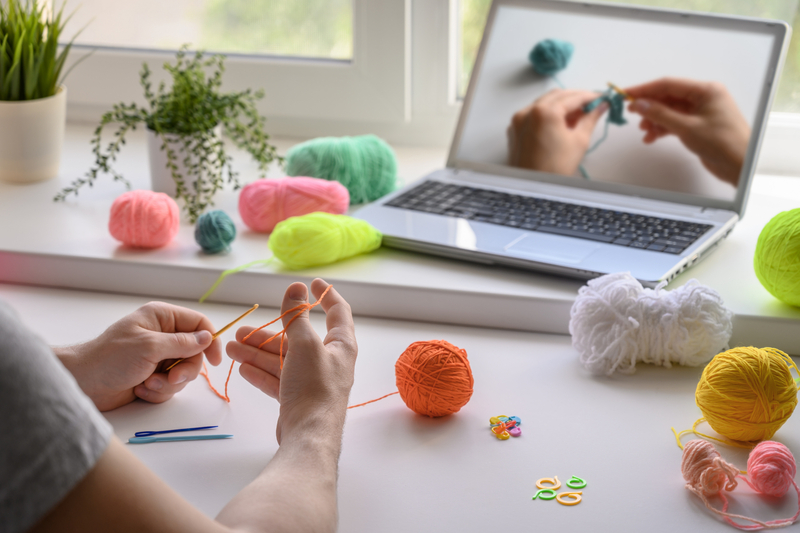 These are affiliate links and I try to shop around for the best prices... if you find better prices for yarn, hooks, etc. let us know in the comment box below! 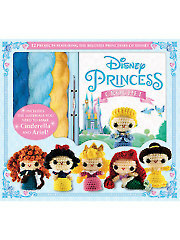 *If you don't have a prime membership with amazon the polyfil fiber is less expensive at joann.com. Fasten off and weave in loose strand. Start stuffing body firmly with polyfil fiber, and continue to stuff throughout the rest of rnds 16-17. Sl st into the next sc and fasten off leaving a 15-20 inch tail for assembly. Do not fasten off, ch 12. Sl st into the top of the frogs foot and fasten off. Picture: This is what the head, body, legs, and eye lids looks like when assembled. 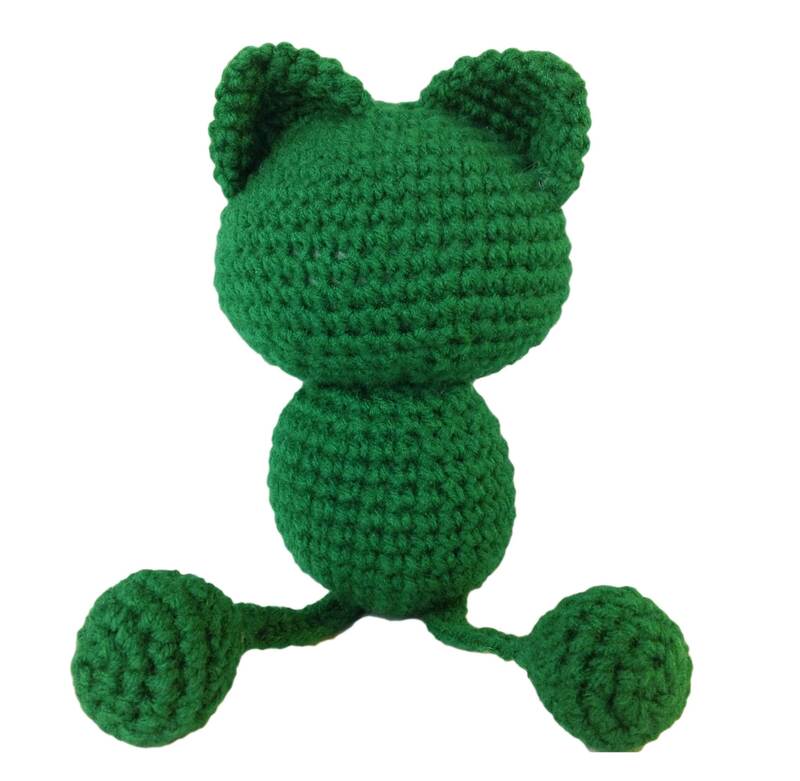 This frog pattern calls for you to attach the frog's body by using yarn and a yarn needle. Do not fasten off, ch 10. Fasten off leaving a 15 in tail for assembly. Fold circle in half and stitch open ends together. Picture: This is how the eye lids should look when you assemble the frog. Fasten off leaving a 10 in tail for assembly. Fasten off leaving a 12 in tail for assembly. 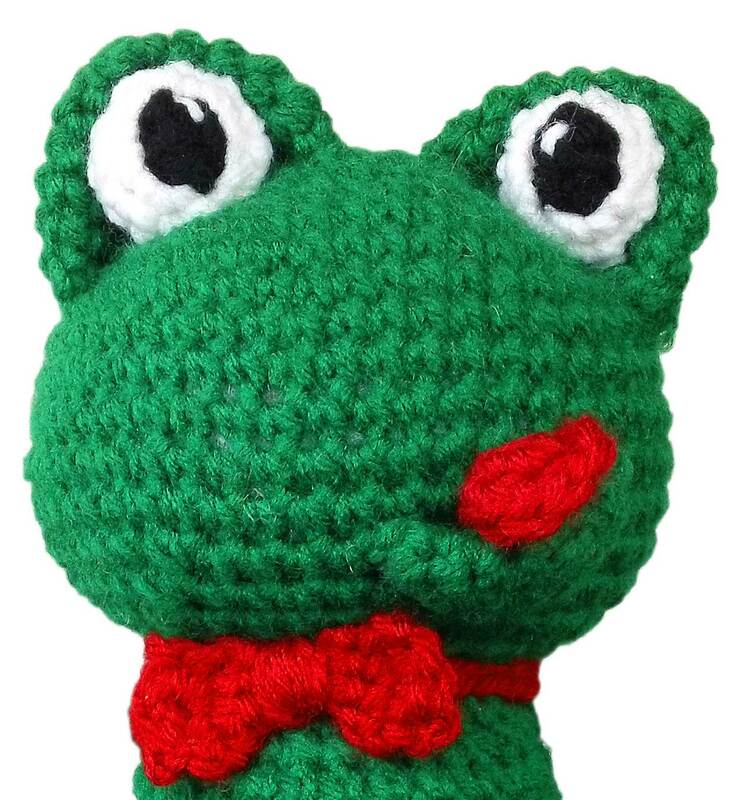 Picture: This crochet frog pattern calls for you to attach the pupils to the eyes before assembling them to the frog's eye lids. It is also best to stitch a white line in each eye for added character. Fold circle in half on one end and stitch end together to make a tongue. 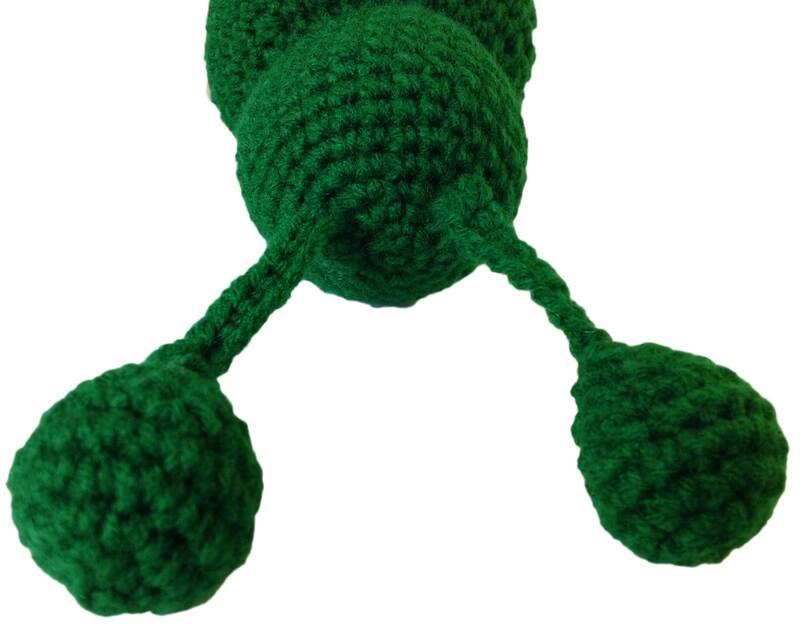 Picture: This crochet frog pattern calls for you to bend the lower lip slightly before placing it on the frog's face. After the lower lip is secure place the red tongue on top of the frog's lower lip. Wrap the color D (red) around the bow tie about 10 times tightly, and secure into place. 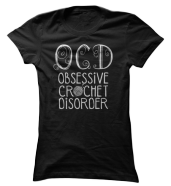 Note: Use the yarn needle to stitch and attach parts of the body together. 1. Attach by stitching the body to the head by using the 15-20 in tail. 2. Attach legs by stitching them into the bottom of the frog’s body. 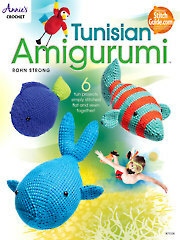 Picture: In this crochet frog pattern notice how the legs are attached underneath the frog's body. 3. Attach arms by stitching them into both sides of the frog’s body underneath the head. 4. Bend eye lids slightly and stitch on top of the frog’s head. 5. Attach pupil to eye by stitching them together. 6. 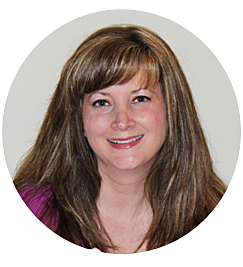 Place eye into eyelid and stitch into place. 7. Use a strand of white yarn and stitch a small line into each pupil. 8. Attach lower lip onto frog’s face, and attach tongue to the top of lower lip. 9. Wrap neck band around frog’s neck and stitch into place. 10. Attach bow tie over neck band and under frog’s chin and stitch into place. 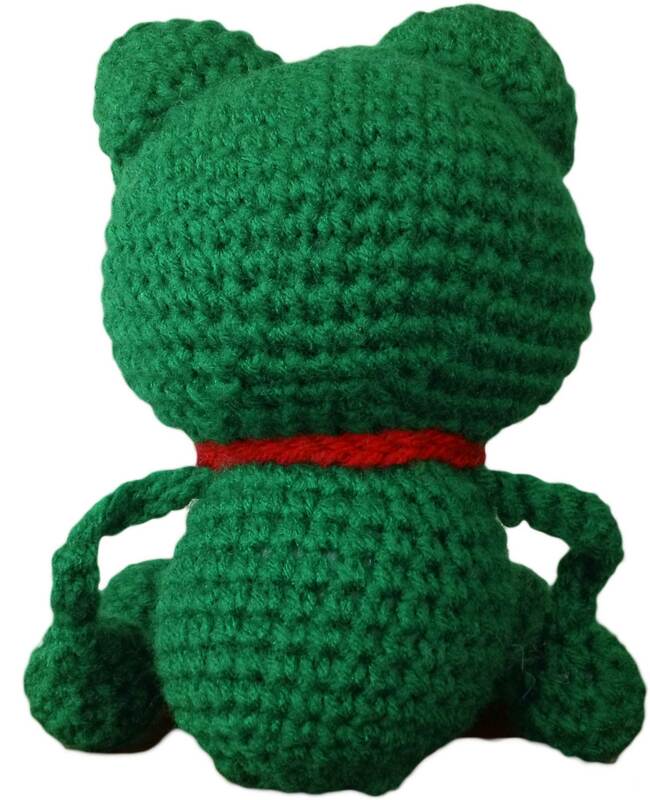 Picture: This is a picture of the back of the crochet frog pattern. 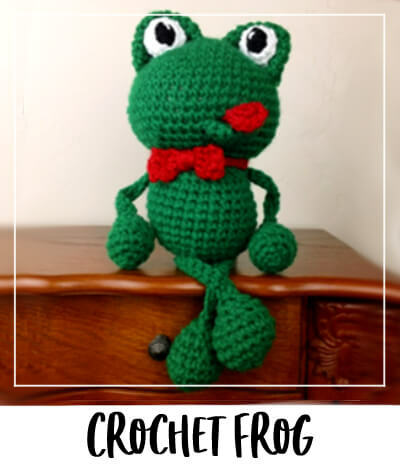 I hope you enjoy this free crochet frog pattern, and if you have any questions or comments go ahead and voice your opinion in the comment box below.